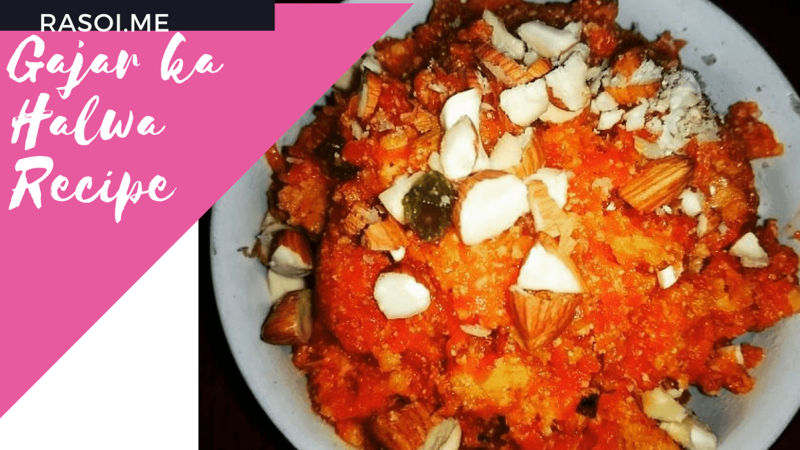 Gajar / carrot is very nutritious and highly protein and in winter seson Gajar is available and this Indian traditional dessert / Sweet dish recipe we make today. This is loved by all and specially Homemade Gajar ka Halwa is one of a favorite dish. Sweet lovers enjoy this recipe surely. Watch the video and try this recipe at your home.Subscribe our channel for more easy home cooked recipes today. All othe dryfruits which you like add in this. Heat 3 spoon Ghee in kadhai add Grated Gajar into kadhai and saute it for 5 minutes. Cove the kadhai with plate for 10 - 15 minutes on slow flame. We can Check it for and with spoon merge this gajars and then we add the 1 cup milk and ilaychi powder in it and mix it well. It will take more 15 minutes to be ready and soak all milk. We continuously merge with spoon and add 5 spoon sugar in it as shows in video. Its done in 15 minutes then we add khas kahs and all dry fruits. Mix it well leave for 10 minutes more. Gajar Halwa is ready to serve. You can garnish with Cashew, almonds chopped all available dryfruit and enjoy this Home cooked Gajar Halwa . No Replies to "Gajar ka halwa Recipe"